According to McMurry TMG, 90 percent of consumers find custom content useful and 78 percent believe that organizations providing custom content are interested in building good relationships with them. A study from Nielsen reported that 58 percent of consumers trust editorial content. Content marketing produces 3 times more leads per dollar than outbound marketing, based on ROI calculations from Kapost. The same calculations showed that the cost per lead acquisition drops by 80 percent after the first five months of blogging. According to a report from Hubspot, 82 percent of marketers who blog on a daily basis have acquired a customer through blog content. In the same study from Hubspot, 41 percent of marketers have adjusted their budget due to the success of inbound marketing and, not surprisingly, 41 percent of CEO’s report inbound marketing delivered measurable ROI. Inbound practices produce 54 percent more leads than traditional outbound practices, according to research from Hubspot. Social Media B2B reported that B2B companies that blog generate 67 percent more leads per month than those who don’t. Social media sites and blogs reach 8 out of 10 of all U.S. Internet users, according to the Content Marketing Institute. CMA released a study that said 68 percent of consumers spend time reading content from a brand they are interested in. According to the Custom Content Council, because 61 percent of consumers say they feel better about a company that delivers custom content, they are also more likely to buy from that company. Blogs still have a tremendous effect on SEO, according to Content+. 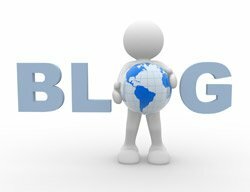 Blogs give websites 434 percent more indexed pages and 97 percent more indexed links. A 2013 study from Content+ found that companies with active blogs receive 97 percent more leads. A joint study from AOL and Nielsen reported that 27,000,000 pieces of content are shared everyday. According to 37 percent of marketing managers surveyed by CMA, the most important way to engage customers is content-led websites. All of this data makes it pretty clear that blogging is essential for businesses that want to get ahead. Not only does content on blog help the website’s SEO, it allows business owners to develop better relationship with their current fans and to spread their brand to others. One thing these stats didn’t answer was the issue of time. It is clear that blogging is beneficial to business owners, but if there isn’t enough time to do it in-house, consider outsourcing the writer to experienced content producers. The benefits from blogging are too great to ignore.